You will find popular anecdotal evidence of the slug-killing abilities of beer, coffee, iron phosphate, human hair, citrus fruit, diatomaceous earth, vinegar, and even more fanciful suggestions. This is mostly wishful thinking. Controlling your slug population is really a matter of hard work and diligence destroying their eggs and trapping and killing adults. Insecticides do not work against slugs. They are not insects. If the garden area is small, removing shelter for the slugs can help to control them. The gardener should remove debris, logs, and stones, and trim grass and weeds along the edge of the garden. It may be necessary to remove slugs by hand from plants at night. a daytime trap of boards or shingles on the ground near the most susceptible plants can be set. The slugs will crawl under the boards at night and can be removed in the morning. Search for egg masses and destroy them; encircle the most susceptible plants with wood ashes, diatomaceous earth, or even screen to exclude slugs. Keep in mind: ashes and diatomaceous earth are only effective as dessicants if they remain perfectly dry. As any gardener knows, such conditions rarely prevail for long in any outdoor space. You’ll end up with a crust that slugs crawl over with impunity or the dust will scatter and lose its effectiveness. Natural enemies of slugs include toads, ducks, geese, lightning bugs, rove beetles, and snakes. Trapping and handpicking helps lower slug numbers. To be effective, traps must be checked and cleaned out several times a week (more when slugs are abundant). Be sure to put out enough traps to adequately protect the entire garden. Traps containing beer or other fermenting food are popular, but are very inefficient. You can purchase commercially available slug traps or make your own. Sink jars, cans, pans or similar containers into the ground so the top is level with the ground. Pour beer or a water and yeast mixture (one teaspoon of yeast to three ounces of water) or similar fermenting liquid into the container. 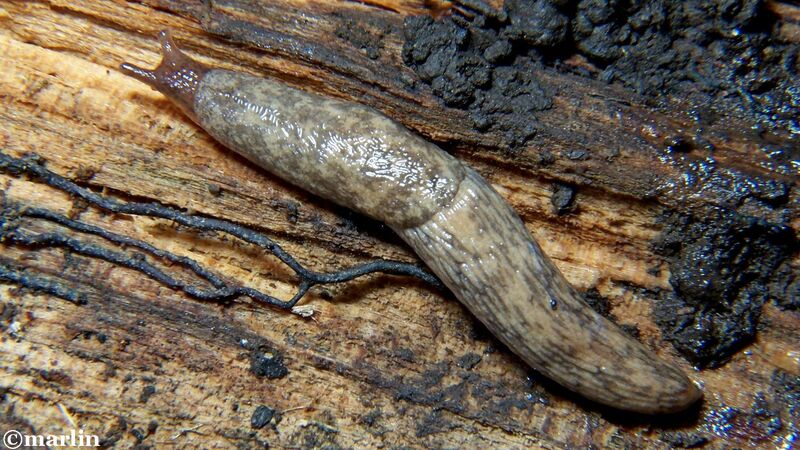 Slugs are attracted to the odors, and it’s a simple matter to collect the bodies and dispatch them in a humane manner. All slugs lay eggs. Each species requires a different length of time for the development of its eggs and the maturing of its young. 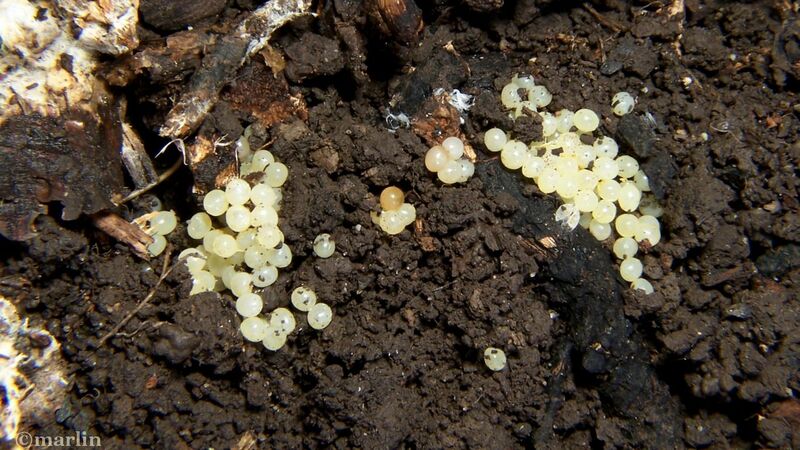 The number of eggs laid at one time by one slug may be up to 100, but average 20 to 30. 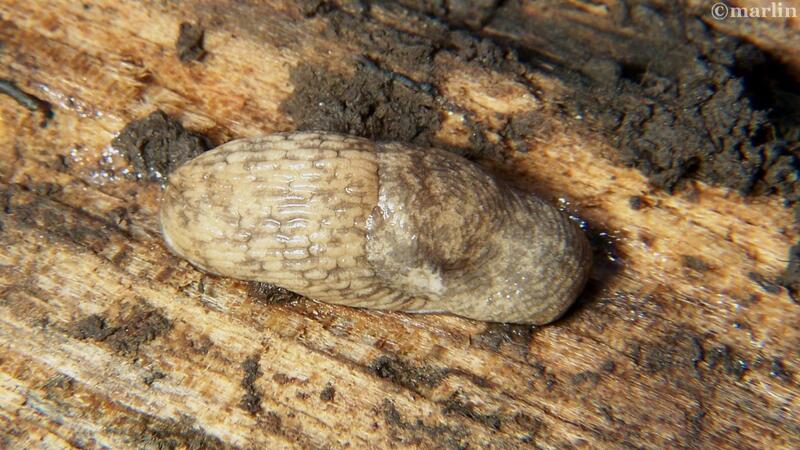 Young adult slugs lay fewer eggs than older ones, so it’s important to pick off the adults as they age. In addition to the grey garden slug pictured here, other species cause damage, including the banded slugLehmannia poirieri, the three-band garden slug L. valentiana, the tawny slug Limacus flavus, and the greenhouse slug Milax gagates . The gray garden slug is about 5 cm (2 in.) long when fully grown. It is variably colored, ranging from cream colored with irregular gray spots to dark brown with dark spots. The mantle is situated forward, near the head, and the respiratory pore is behind the mid-point of the mantle. The keel is located only at the tail. 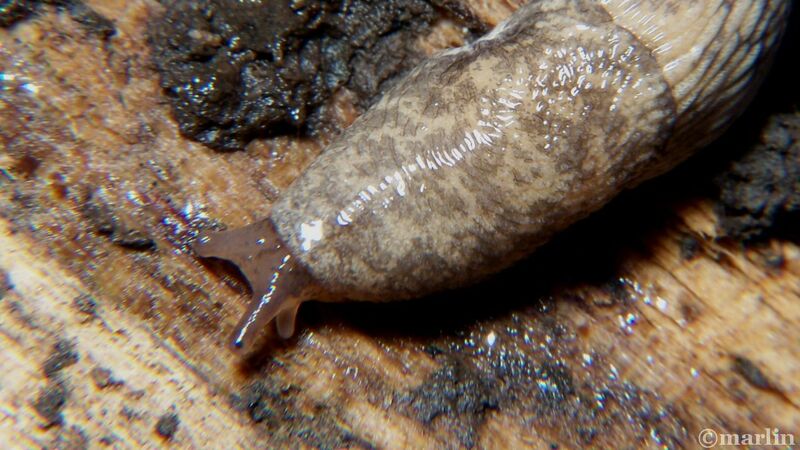 The gray garden slug produces a milky slime when disturbed; this slime distinguishes it from other species, many of which produce clear slime.